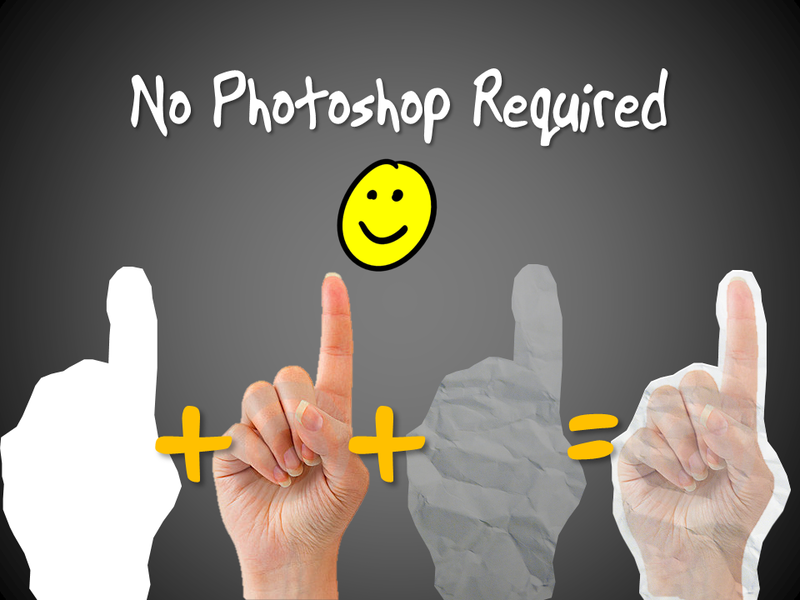 Ethos3 recently posted a ‘How to’ on how they made their cut out images in Photoshop for their fabulous “Simplify, Simplify, Simplify” deck. I saw a question asking if this could be done using ONLY PowerPoint and the answer is yes and it’s super simple. 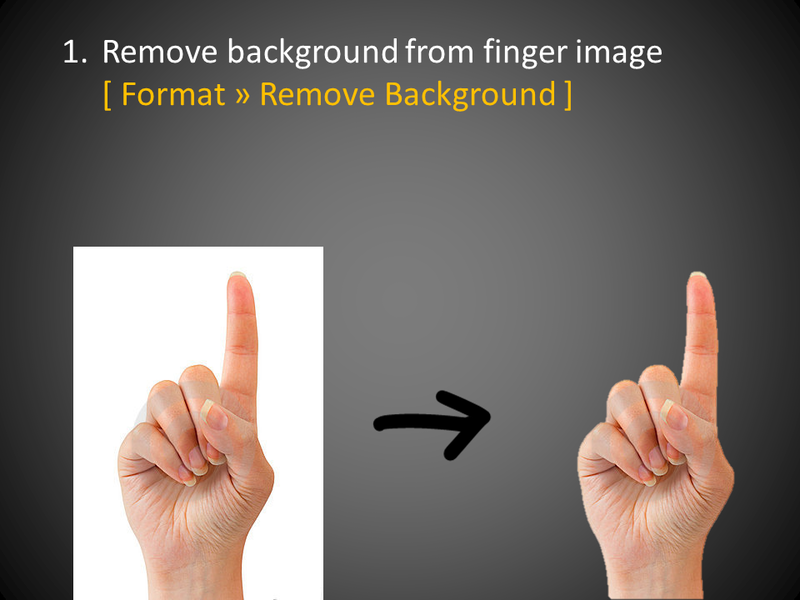 Take a look at David Anderson’s screencast on how to use PowerPoint’s Remove Background tool. 2. 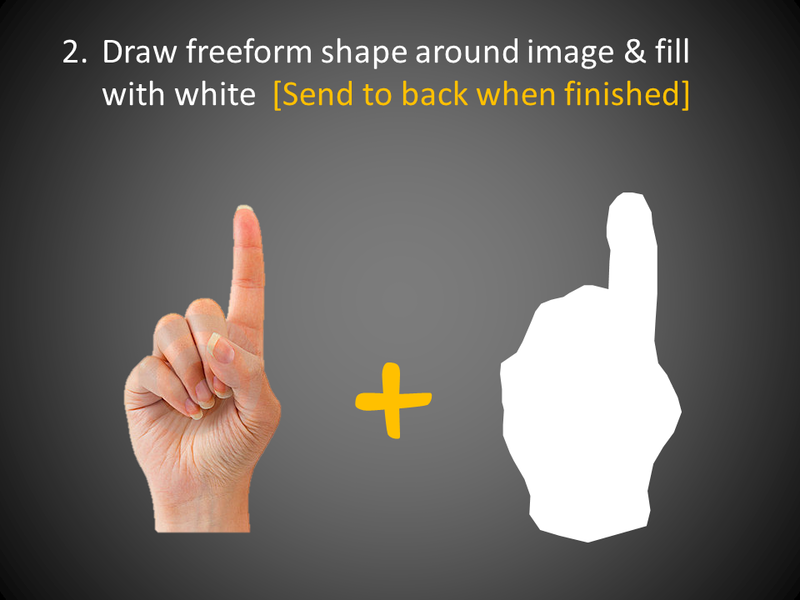 Use the Freeform shape tool to draw a shape around the outside of your image. David covered this in a screencast too. 4. 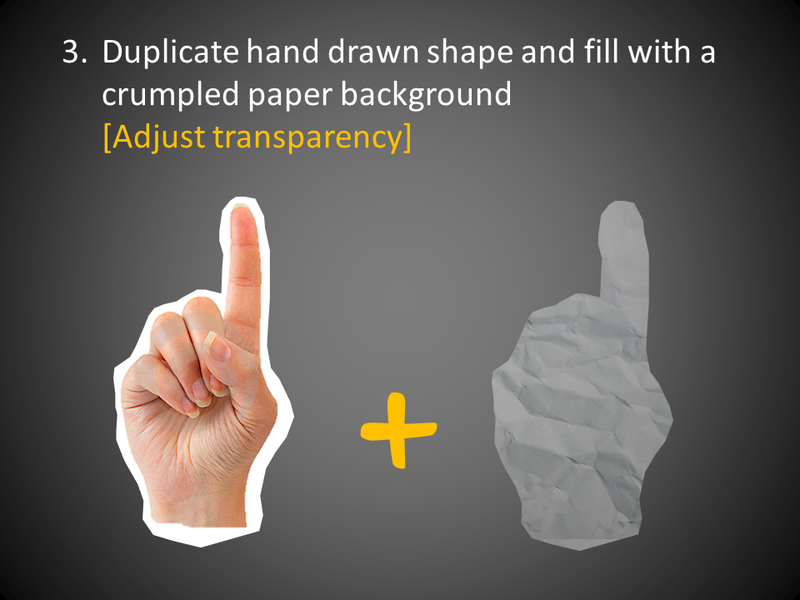 Increase the transparency setting until your image shows through the shape you just filled. Now by overlaying the semitransparent, crumbled paper image over the top you’ve got the effect we were after. No Photoshop required! If you like you can grab a copy of my file to play with and see how it works.